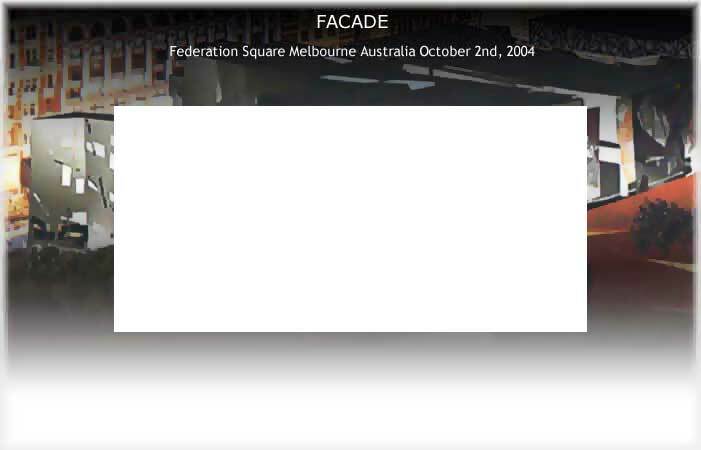 Facade is an interactive artwork that allows participants to transform the appearance of the facade of a prominent building in the City of Melbourne, Australia. Using a simple java interface, participants are able to create individual designs which will be projected onto the facade itself, effectively allowing the wall to be 'painted'. On the night of the projections, a web cam will allow participants to see the rendering of their designs remotely. All entries are archived and available immediately for perusal.